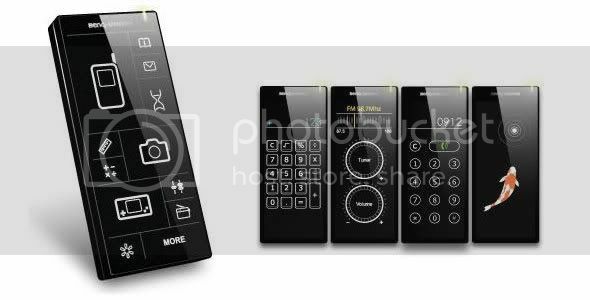 Future Phones.... | K n o w M o r e . . .
which one u want to own??? 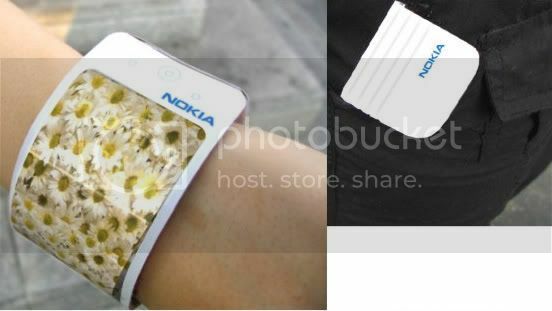 Nokia Aeon was presented by Nokia on their Website in the Research & Development section. 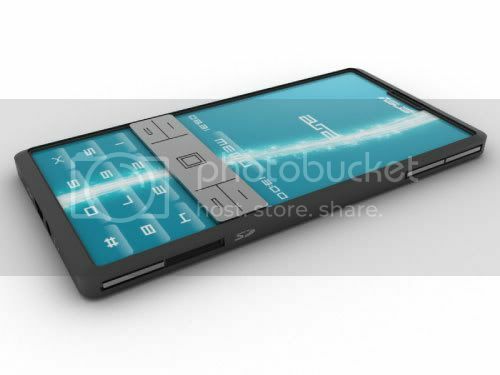 What is so great about this phone is that it looks like it will actually go into production next February. 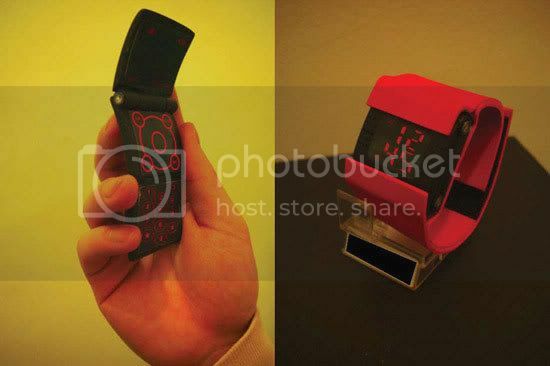 Of course, its just a rumor, but still, makes us hope to actually see it someday in the GSM shop. 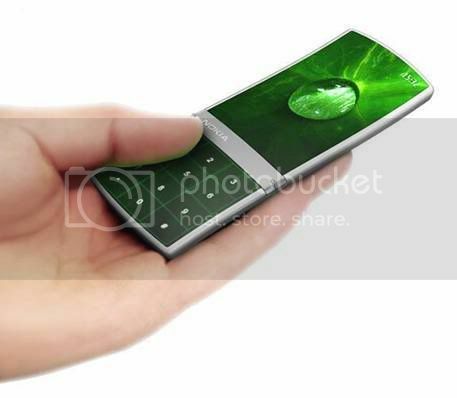 All we know about it for now is that its a touchscreen phone and it looks fantastic. 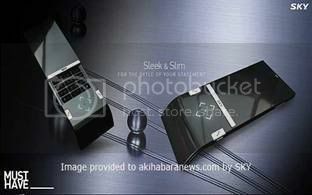 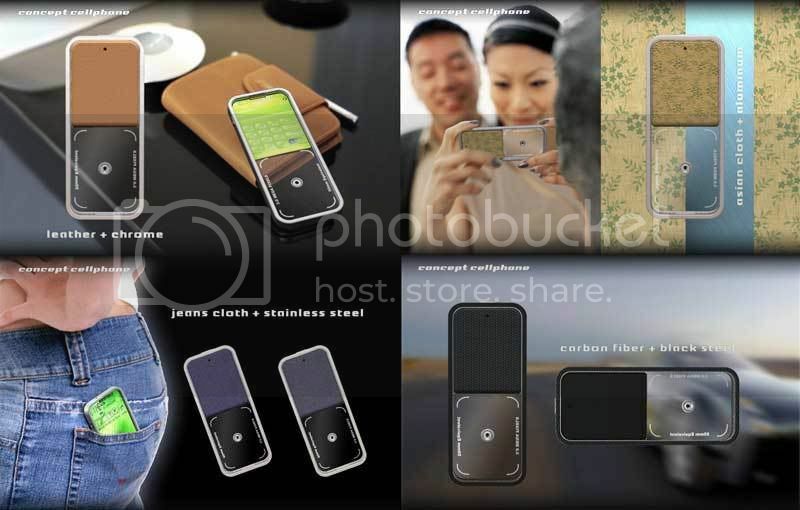 3 .. Sky "Sleak n Slim"
"Sleek & Slim" from SKY is another concept based on touchscreen technology. 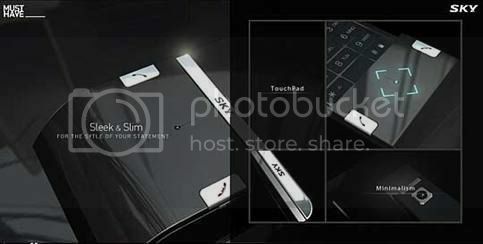 The phone has a discretely glowing touchpad, hideaway keys and generally utterly-fashionable minimalist design. 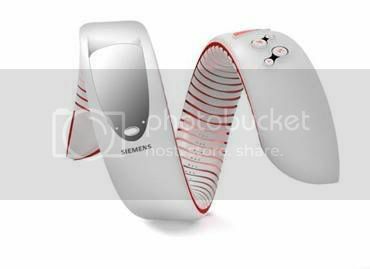 Benq designers thought of women too and presented Snaked. 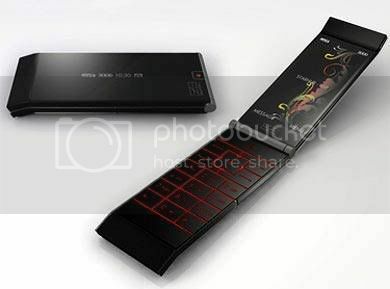 This is a "reptile" looking phone, creepy somehow, but still is very cool. 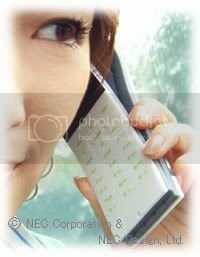 The Snaked is a fashion phone for sport loving women, because it also has body monitoring sensors to help the ladies keep those fine shapes. If most phones presented here will never be sold in store for sure, the Retroxis concept phone from Dark Label looks kinda human, and makes us hope we'll be able to get one of these one day. 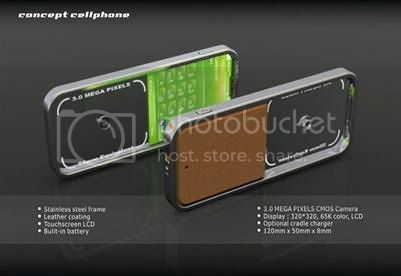 Designed by Lim Sze Tat the phone is encased in high polished polycarbonate renowned for its lightweight and toughness and has an invisible OLED display that silently hides away when inactive. 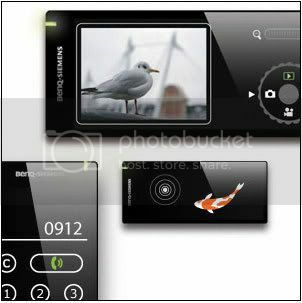 7 .. Benq-Siemens "The Blackbox"
Black Box designed by Benq-Siemens uses a touch screen as its keypad and, depending on the functions you are using, the touch screen changes the control layout immediately. 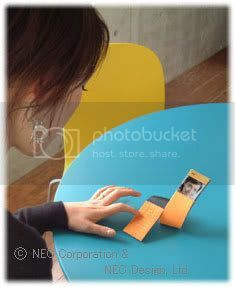 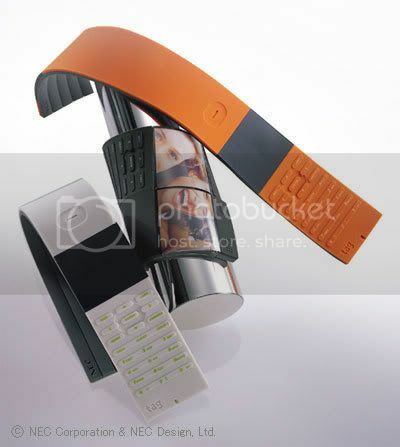 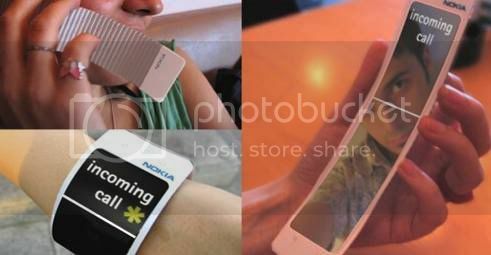 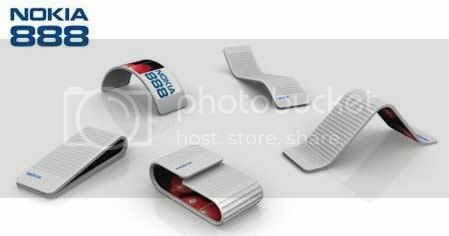 Somehow similar to the Snaked concept, the NEC Tag is a flexible phone concept that can be , for example, hung from a belt or wrapped around the user's arm. 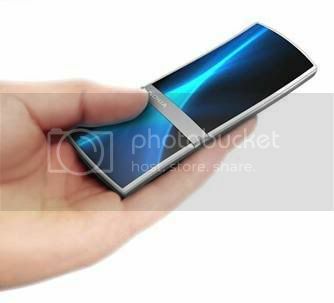 Interesting is that the phone has shape-memorizing material and sensors that allows the phone to change its shape according to the mode. 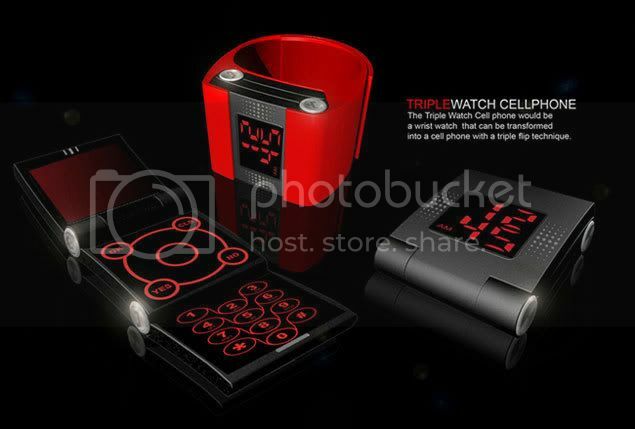 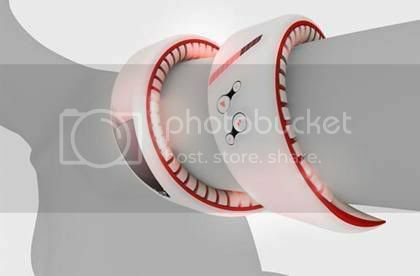 Though the idea of a cellphone watch is not so new, the TripleWatch designed by Manon Maneenawa has an interesting triple flip technique that allows the user to transform the watch into a normal cellphone. 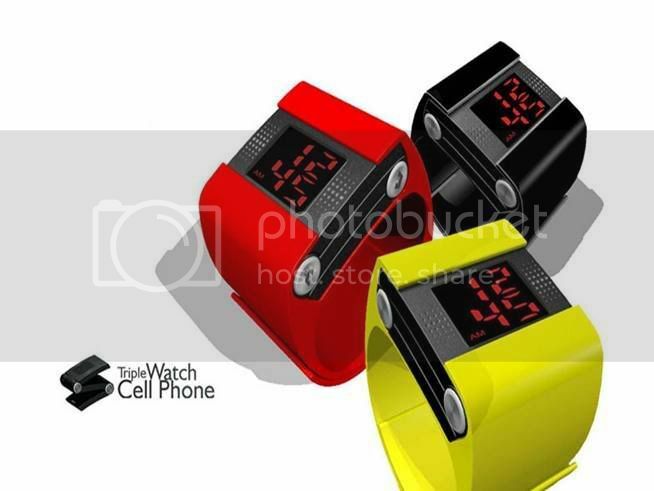 When used as a wrist watch, the phone has a speaker button that allows the user to answer the phone and hang up while driving.